Kühne + Heitz is the worldwide food trading company and supplier of frozen potato products. More than 40 years, Kühne + Heitz (KnH) is experienced in wholesale and distribution of frozen french fries and potato specialties. 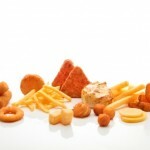 Our portfolio includes varies type of French fries and potato specialties sourced primarily from Belgium. Chef’s Quality and Geko are private brands of KnH. These are well known in many parts of the world and meets the highest quality standards for foodservice as well as retail. 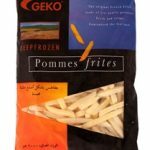 Through our import and distributor partners we sell our french fries and potato specialties to Africa, Asia, Caribbean, Middle East, United Kingdom, Ireland and Europe. Our main customers are active in the following food sectors: Industry, Wholesale, Foodservice & Retail. We deliver in quantities that suit your business, from a single pallet to a full container load (FCL). In short, worldwide shipping to any port. 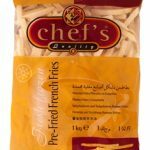 Wholesale frozen pre-fried french fries and potato specialties needed for your business? Please contact us with your requirements to receive a quote. Delivery: From single pallet (within EU) to full container load (worldwide).